When we move homes we take with us only what we can carry. A few important possessions, our experiences and our memories. Many of my memories are around food, that’s how much I love it. What we cook, and how we cook, the ingredients we use, all these are influenced by our heritage and our story. 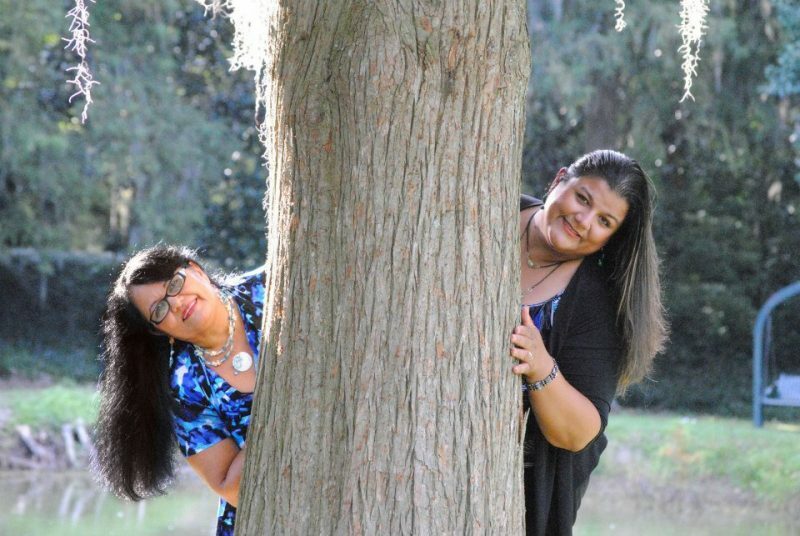 Meet Frances, language activist and Latina mama extraordinaire. She is raising awareness of her Hispanic heritage and language and transforming hearts and voices, one step at a time. Frances (on the right) along with her Mom. I first met Frances when I joined Multicultural Kid Blogs – a vibrant community of multicultural bloggers from around the world. In true 21st-century manner, our connection was first formed online where I was touched by her warmth and passion for her Hispanic roots. Over the years, I’ve known Frances, she’s an inspiration in her steadfast campaign to raise awareness of how important it is to hold onto our roots – after all they help us grow tall and strong. I am honoured to interview Frances Evans for #MyFoodMemory series. 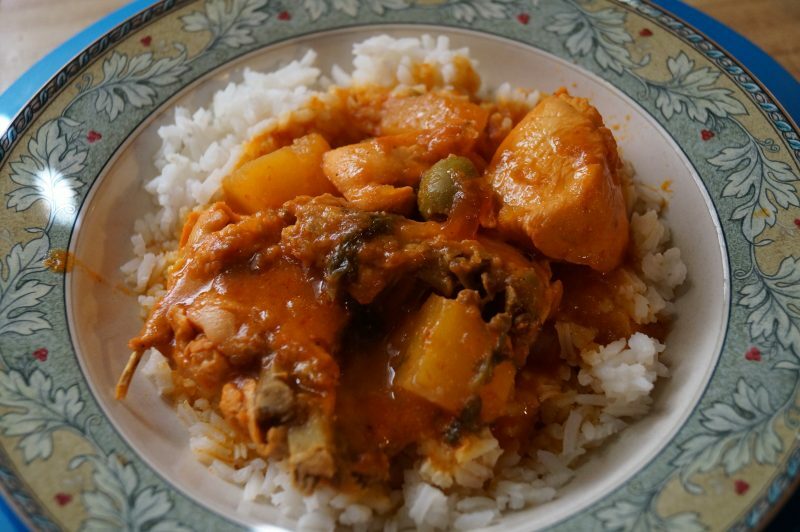 Grad student, culture activist and founder of Discovering The World Through my Son’s Eyes, Frances shares how the aroma of stewed chicken takes her back to her Mami’s kitchen in Puerto Rico. Since we did the long-distance relationship for a while he actually had NO WAY of knowing if I could cook. So the first time I ever cooked for him was when he came to visit me in Puerto Rico. I was a nervous wreck! Needless to say, I guess I made it through his heart. We’ve been married for 11 years. Ha! We currently live in South Carolina a Southern US state and travel frequently to Puerto Rico. What do you do for the better part of the day? Frances: Most of my weekdays are busy with my full-time job. Boring I know! However, the rest of the time is spent home with my li’l family, cooking, kiddo’s extracurricular activities, writing for my blog or going to grad school. How does your kitchen differ from that of your parents’ in Puerto Rico? Frances: My kitchen has lots of gadgets! I have 3 slow cookers, rice cookers, electric grill pan, etc. My mom doesn’t have appliances except for a blender and my grandmother used to cook over an open fire – which by the way made food taste the best! What does a family meal look like in your home? Frances: Love this question. We are a multicultural family so our meals are multicultural. The meals are a combination of Latin and Southern cuisine. Raising a child within two cultures means we will have a fusion of meals. For example, there are days when we have Puerto Rican rice with pigeon peas with brown gravy – those two do not go together. Ha! However, my very Southern American husband and child love gravy on everything. I’ll have my rice without it. Of course, no meal is complete without a side of meat and vegetables too. Is there a particular dish that you make for your family that reminds you of your roots and takes you back to your childhood? Frances: Yes, stewed chicken. Whenever I cook stewed chicken, the aroma fills my kitchen and our house. For a few minutes, I am transported into my Mami’s kitchen in Puerto Rico. I close my eyes, and breathe in the delicious aroma of chicken, with sofrito (a base of onions, peppers, garlic, culantro, cilantro, sweet red peppers, and spices). Growing up I loved going into her kitchen and lifting the lids off the pots to see what she was cooking. I have so many fond memories of Mami cooking in the kitchen for her family, for her children. I look at my son and hope that I will be the one “planting the memory seed” of sights, tastes, textures, and aromas of his Mommy’s cooking. I want him to remember his Mommy’s special dinner. I truly love cooking for my family, for my husband, and for our son especially when it’s a recipe that I was brought up with. I also love to cook Southern meals and learned to eat collard greens. How does your heritage impact your food? Frances: Our heritage is part of our family’s identity, and the food and memories that we create when we sit together as a family to eat. They are woven into our very existence. What I hold dear to my heart and what is important to me is my family and the legacy we will leave behind for our son. A legacy of love, heritage, culture, and the many, many food memories for him to remember. How can people follow you on your journey? 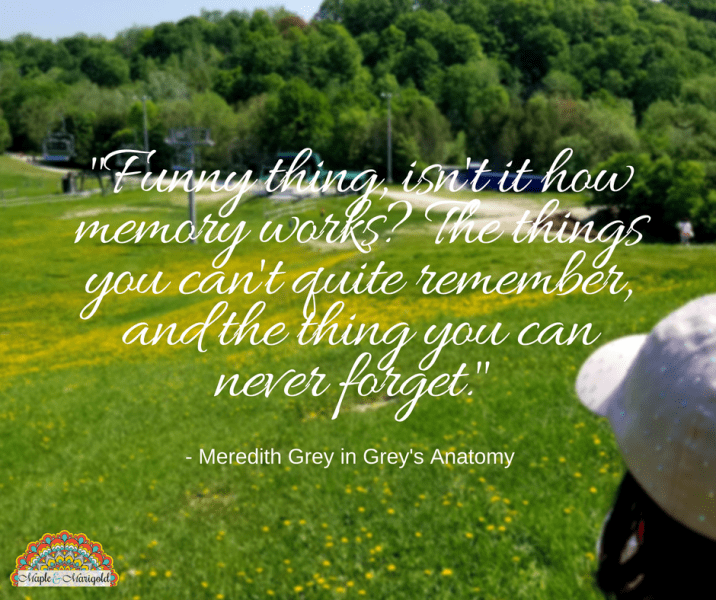 Read other posts in the #MyFoodMemory series here and here.